The Polyco Bodyguards GL895 4 Blue Nitrile Powder Free Disposable Gloves are powder free, nitrile disposable gloves which are a common choice in salons and laboratories and food prep environments. They are EN1186 approved for food contact. This makes the Polyco Bodyguards GL895 4 Blue Nitrile Powder Free Disposable Gloves suitable for food manufacture and preparation plus other industries such as hair and beauty, laboratory and pharmaceutical and more. 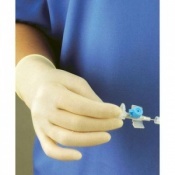 The Polyco Bodyguards GL895 4 Blue Nitrile Powder Free Disposable Gloves feature a rolled cuff for extra strength and prevents liquid roll back. The synthetic rubber offers better puncture abrasion resistance than natural rubber or vinyl. The Polyco Bodyguards GL895 4 Blue Nitrile Powder Free Disposable Gloves offer protection against contamination, dirt and potential irritants in low risk situations. 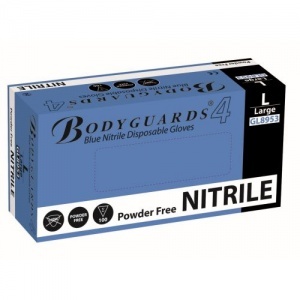 The Polyco Bodyguards GL895 4 Blue Nitrile Powder Free Disposable Gloves are versatile and a favourite among hair and beauty salons, kitchens and laboratories. They are suitable for use indoor and outdoor, in wet and dry and oily and greasy conditions. 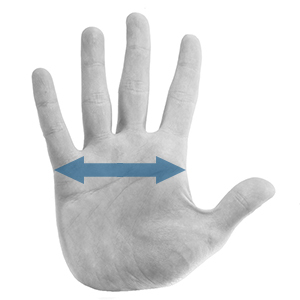 Below is a list of some of the typical uses for these gloves. To minimise particulate contamination, the Polyco Blue Nitrile Disposable Gloves are powder free. This reduces product contamination. 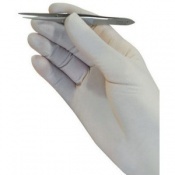 The Polyco GL5895 Blue Nitrile Disposable Gloves have been tested in accordance to European Standard En 1186 and have been approved for contact with food. This is certainly a 5 star service! The package was delivered early and with minimal fuss! The cost of p&p was about the price I would have paid. The gloves are of good manufacture and at a cheaper cost than other sellers. Will be back for more stores soon. Many thanks.